Don’t let yellowing teeth or tooth discoloration take away from your smile. 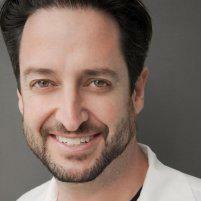 Dr. Jason Mirabile offers professional teeth-whitening treatments at his practice iHateTheDentist.com in Santa Monica, California. You can maintain a beautiful, white smile for weeks and months with in-office and take-home treatments. Contact the office today to learn more about teeth-whitening treatment options or schedule your appointment online. Why should I go to a dentist for teeth-whitening treatments? Even though there are hundreds of over-the-counter teeth-whitening products out there, none of these products contain professional-strength ingredients that are powerful enough to whiten your teeth without damaging them or your gums. Dr. Mirabile, on the other hand, uses highly-concentrated whitening products and uses extra care to prevent damage to your teeth and gums. Long-term use of over-the-counter products can be risky to your oral health. What types of teeth-whitening treatments do you offer? Dr. Mirabile recommends and works with Zoom!®, EZ White Pro®, and Opalescence® teeth-whitening systems. Zoom! is an in-office treatment that can brighten your smile by several shades in just one visit. Other systems produce more gradual results, but you can actually use them in the comfort of your home. How long until I see results with my teeth-whitening treatment? This depends on the extent of discoloration and the type of treatment you use. Many patients are very happy with a one-time Zoom! treatment and use maintenance products to keep their teeth white. Other patients prefer to whiten their teeth using whitening trays and other products. Most patients who use these products see results within at least a week. As long as you use the recommended products and follow the home-care regimen, you’ll find it easy to maintain the beautiful, white smile you get from teeth whitening. However, habits like drinking coffee regularly or eating an unhealthy diet can affect the color of your teeth. Making some lifestyle changes can help you maintain results for longer periods of time. If you want to maintain a bright and healthy-looking smile, talk to Dr. Mirabile about teeth-whitening treatments. Call the office to schedule a consultation or make an appointment online.